Home > Feature > Nigeria’s 2019 PRESIDENTIAL Election: Who should debate? Democratic candidate Hillary Clinton and the Republican nominee Donald Trump were the only two invited to appear in the debates. That is why the two major contenders for the Nigerian Presidential seat, need be assessed through a well organised debate session. 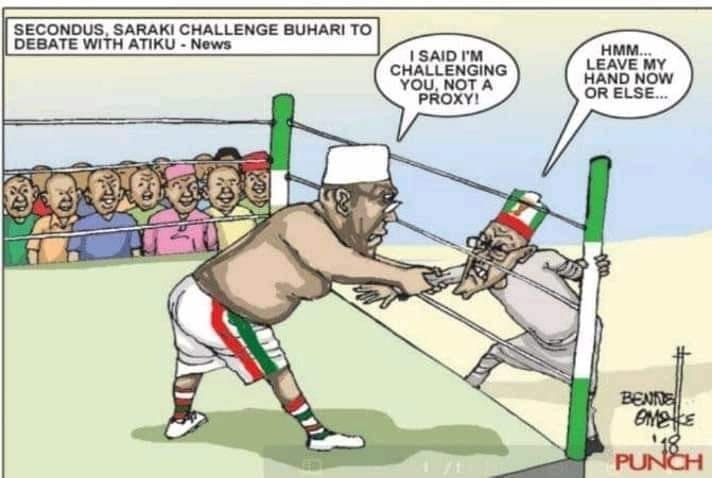 So why should APC presidential candidate be absent at a debate which Atiku Abubakar had earlier challenged him to attend? In other words, after calling for a debate with a man who claims he has done well, Atiku was now expected to go debate with candidates who do not even have followership in one out of the 774 local government areas, as what? Their Sunday School teacher? If APC was not comfortable with the debate ab initio, it ought to have said so and would not have presented its Vice Presidential Candidate earlier. Atiku Abubakar of the PDP is ready for serious business and that is why people are advising APC to bring out its presidential hopeful, as well. Barcelona does not need to play with Abia Warriors to win Champions League.